Explanation: How can a comet have three tails? Normally, a comet has two tails: an ion tail of charged particles emitted by the comet and pushed out by the wind from the Sun, and a dust tail of small debris that orbits behind the comet but is also pushed out, to some degree, by the solar wind. Frequently a comet will appear to have only one tail because the other tail is not easily visible from the Earth. 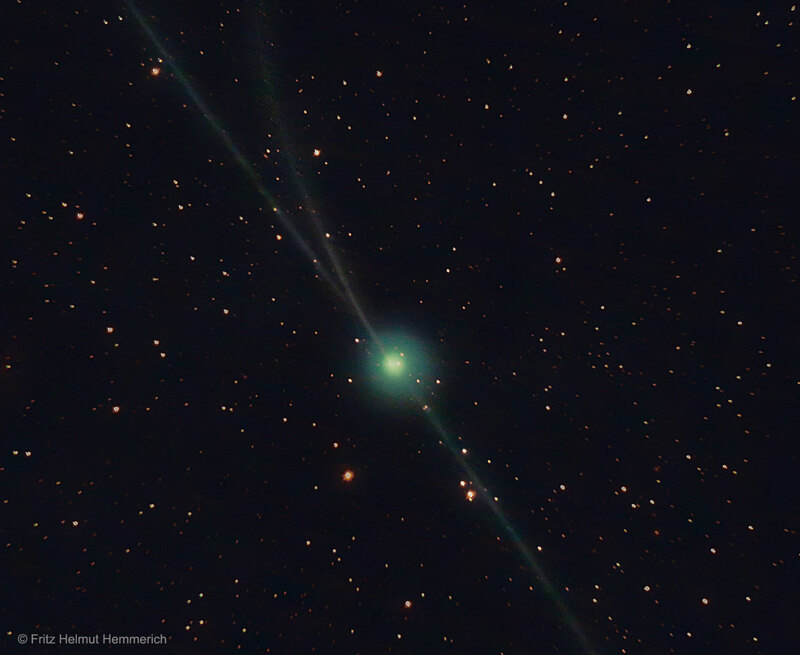 In the featured unusual image, Comet 2P/Encke appears to have three tails because the ion tail split just near to the time when the image was taken. The complex solar wind is occasionally turbulent and sometimes creates unusual structure in an ion tail. On rare occasions even ion-tail disconnection events have been recorded. 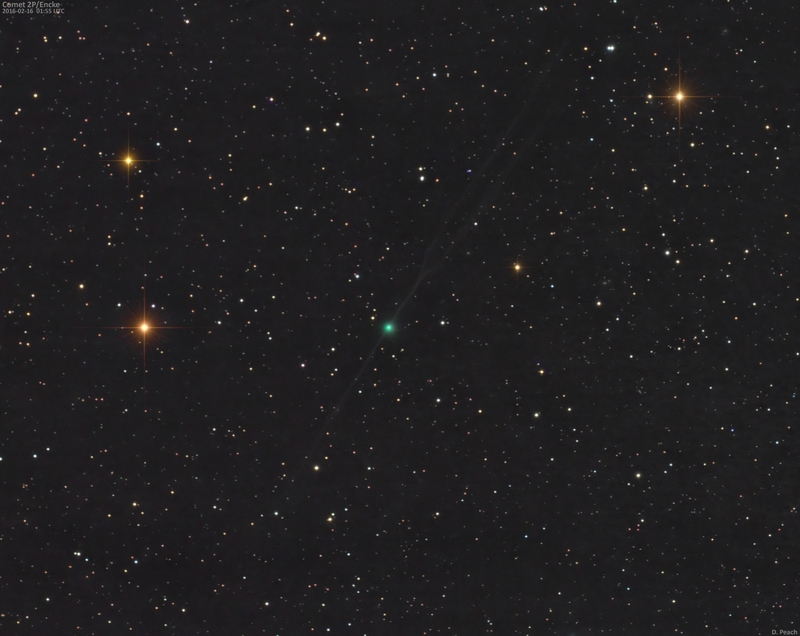 An image of the Comet Encke taken two days later gives a perhaps less perplexing perspective.